A rare Pasankalla variety organically grown on family plots at 12,500 feet in the Andes. Mechanically de-saponized, mountain spring water washed. Slightly sweeter than white quinoa. Quinoa has the most complete amino acid profile of all grain. It cooks in just 12 minutes and is delightfully fluffy. An ideal entre, in soups, stews, salads, desserts, and baked goods. 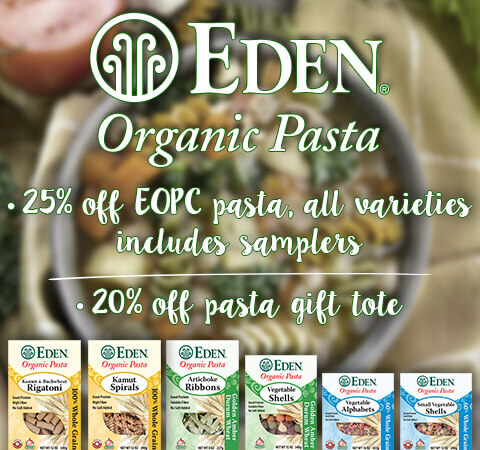 Eden quinoa received Grocery Headquarters 2009 'Trailblazer Award' and Vegetarian Times 2010 "Foodie Award". Rich in fiber, folate B9, and magnesium, and a good source of protein, iron, thiamin B1, and riboflavin B2. 100% whole grain. Packaged in a reclosable, protective, standing pouch. Gluten free. * See Detailed Description for approved FDA health claim. Organic Eden Red Quinoa is a rare pasankalla, variety organically grown on family plots at 12,500 feet in the Andes. EDEN's Red Quinoa is from the 'intersalar', an area surrounding the ancient Uyuni Salt Flats or 'Salar de Uyuni'. Quinoa from this area was so highly regarded by the Inca that they reserved pasankalla for royalty. Rich soil and arid climate produce seeds that are one-third larger than those from other regions. The farmers in the Intersalar follow strict guidelines to preserve the grain's identity and the traditional practices of the area. Their quinoa DNA has remained pure for centuries and is protected from modern hybrid and genetically engineered varieties. Eden Organic Red Quinoa supports traditional native organic agriculture of the Intersalar. Eden Red Quinoa is very quick cooking whole grain, ready in just 12 minutes. About the size of millet, each round grain is bound with a narrow germ. When cooked the wispy germ separates from the seed and its delicate, almost crunchy curlicue makes a great contrast to the soft body or endosperm. A mild, sweet flavor and delightful fluffy texture make it a versatile and delicious whole grain. It's also very easy to assimilate. Quinoa is planted in September and takes about seven months to mature. It is hand harvested in April, thrashed to remove husks and then rubbed to remove its bitter saponin coating in a process called de-saponizing. A double washing with pure filtered mountain spring water further cleans and de-saponizes. Washed quinoa is solar air dried, bagged, and shipped to Eden in Clinton, Michigan where it is packaged in protective, resealable, standing pouches. Organic Eden Red Quinoa received first place Reader's Fave Foodie Award for 2010 in Vegetarian Times in the Rice and Quinoa category, "Go red for a delicious, nutritious side dish with good looks and a nutty flavor." It was Grocery Headquarters 2009 'Trailblazer Award' recipient. Quinoa is gluten-free, 100% whole grain. The American Celiac Sprue Association lists quinoa as "consistent with a gluten free diet. Versatile, it can be substituted for any grain, used whole as a hot cereal or ground into flour. Adds moisture to baked goods." The Canadian Celiac Foundation also lists quinoa as allowed food in a gluten-free diet. In the Canadian Celiac Association's 'Celiac News Articles', Dr. J. A. Campbell says, "Quinoa is a very nutritious grain and therefore a very useful alternative to wheat, rye, barley, and oats in the diet of celiacs." 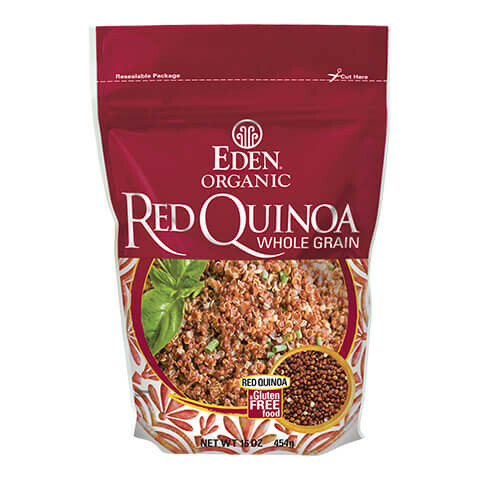 Organic Eden Red Quinoa is heart healthy and an excellent source of healthy fiber. It is rich in magnesium and folate B9 with 25% DV (daily value), a good source of protein, iron, thiamin B1, riboflavin B2, and vitamin B6, very low sodium, saturated fat and cholesterol free. According to the FDA, "Diets rich in whole grain and other plant foods, and low in saturated fats and cholesterol, may reduce the risk of heart disease and certain cancers." Quinoa has the most complete amino acid profile of all grain, including lysine and threonine that are rarely found in cereal grains. The Food and Agricultural Organization and the World Health Organization (FAO/WHO) of the United Nations rated the nutritional quality of quinoa's protein similar to casein (milk protein). We believe it is far superior. Dairy interests have succeeded in having cow milk protein named the standard for protein in human nutrition. Use Eden Red Quinoa as you would rice or any grain. It is an ideal entrée, and in soups, stews, salads, with beans and vegetables, as hardy cereal, and as stuffing. Quinoa is great in desserts, puddings. 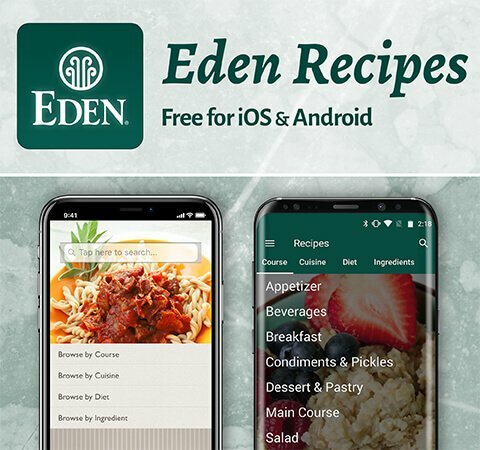 Browse over 40 free quinoa recipes including Scarlet Quinoa Salad, Minted Quinoa with Crunchy Pine Nuts, and Baked Squash Stuffed with Quinoa and Dried Fruit. 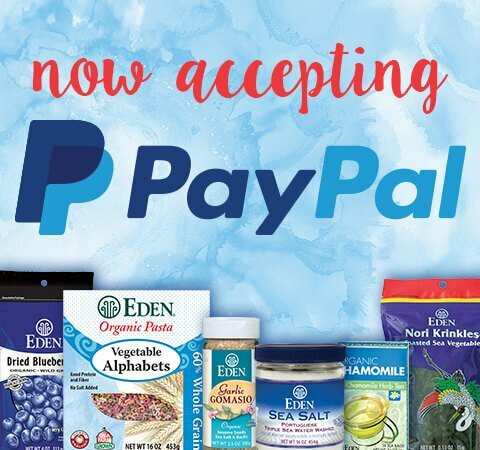 You can substitute Eden Organic Red Quinoa for white Eden Organic Quinoa, which was chosen by nutritionists at Women's Health magazine as a top food for women. Leftover cooked quinoa is also delicious in pancakes, waffles, muffins, biscuits, and bread. Quinoa can be freshly ground into flour for many more uses. Place 3/4 cup of any Eden quinoa in a blender and grind 3 to 5 minutes until it becomes flour; equals 1 cup flour. Use to make delicious wheat and gluten free desserts, pastries, and baked goods.